The PDP-11/20 was the first minicomputer to interface all system elements -- processor, memory and peripherals -- to a single, bi-directional, asynchronous bus. The UNIBUS enabled fast devices to send, receive or exchange data without intermediate buffering in memory. 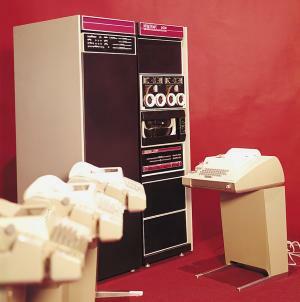 The PDP-11 became the world's most successful family of minicomputers.